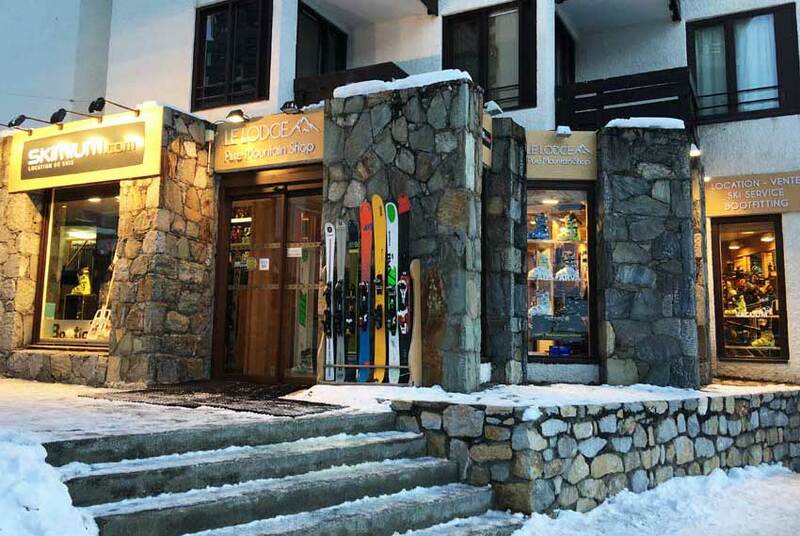 Skimium Le Lodge, located in the Sefcotel building, offers rental of skis, snowboards, boots and other winter sports equipment. The shop also offers the opportunity to select and hire ski equipment online. The specialist hire team will prepare the equipment so that it is ready to be picked up when you arrive in Tignes. The shop also proposes a wide selection of clothing, skis, snowboards and accessories for sale.